Improve the performance of your receiver on SSB and CW with this simple transistor product detector. All receivers not specifically designed for SSB reception suffer, to some extent, in quality and ease of tuning when used for this mode. I )istoition of the received signal occurs for a number of reasons. When this includes BFO pulling, reduction of the rf gain may prove necessary. This in turn leads to loss of sensitivity and does not allow the AGC system to operate effectively. This is a less than satisfactory state of affairs. 'his article will describe a design which is a transistor equivalent of the popular dual-triode product detector. It will discuss the causrs ol distortion to SSB signals which include BFO instability as a result of pulling, AGC non-linearity and inter-modulation distortion, As an example of these problems and their cure, it will refer to a product detector built for the Heathkit '"Mohican". 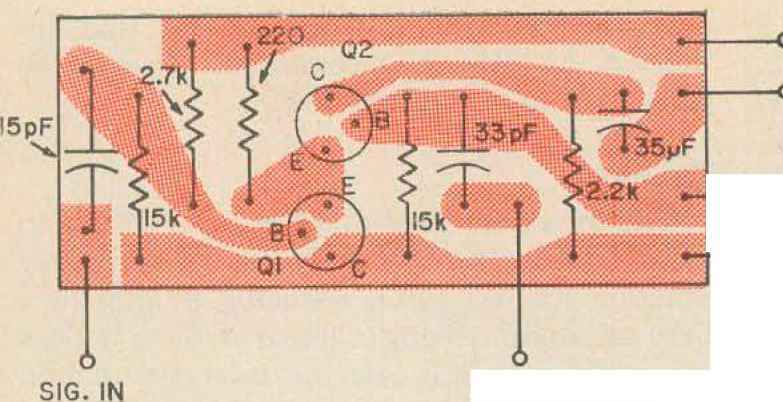 To understand why this will pull an oscillator, consider The tuned-grid, tuned-plate oscillator, (t may be shown that in this oscillator, the tuned circuit with the higher "Qw wi} control the frequency. This is so because, a low "Q" tuned circuit having a broader frequency response, more feedback will be provided to the high "Q" circuit, Since feedback is the essence of oscillation* the tuned circuit getting the most feedback will control the frequency of oscillation. By applying this logic to the BFO, it is easy to see how pulling occurs. If the BFO is treated as if it were a GTP oscillator, then the incoming signal can be thought of as a tuned circuit with infinite "Q". With this situation the closer BFO gets to the signal frequency, or vice-versa, than, of the two feedbacks present, that from the signal and that from the BFO itself, the more predominate the signal becomes. At some point in tuning, it becomes the controlling feedback and the BFO shifts abruptly to the signal frequency. When tins occurs, the frequency difference between the signal and BFO is necessarily zero. Since the desired audio output is that frequency difference, there can be no audio output With an SSB signal, the peaks will be strong enough to pull the BFO leaving only the lower amplitude portions of the signal as output. The result is a highly punctuated garble. With a diode detector, an output of a different but still useless nature is possible. A diode is a non-linear impedance, that is, the impedance varies as a function of the applied voltage or current, A fundamental principle of electronics states that an AC signal applied to a non-linear impedance will generate harmonics of itself. If two frequencies are applied simultaneously, they will also generate their sum and difference frequencies. When a signal as complex as an SSB signal meets a diode, the result is only slightly less calamitous than the famous meeting of the uresis table force-and the immovable object. In this situation, every audio component present may mix with every other audio component to form still more audio components. The result is the muff led, quacking, semi-speech with which we have become familiar with the rising popularity of SSB. These components are also the output when the BFO locks onto one of the frequencies of an SSB signal But even if the BFO stays where it should, these components are still present in the output of the diode mixer, because the diode must mix all frequency components present. This is where the product detector has a distinct advantage, It can mix only BFO and signal, rather than BFO and signal, signal and signal, etc. This type of distortion will be recognizable to hi-fi fans as inter-modulation distortion. The AGG in a receiver can be another source of distortion. In receivers such as the GG-1A, AGG response is fairly fast, capable of following the syllabic rate of an SSB signal or the keying of fast CW. With a perfectly linear AGG, the only effect on an SSB signal will be uniform compression, or overall reduction of the dynamic range. If, however, the AGG response is not linear (which is likely since no tube or transistor has an infinite dynamic range, then the result will be envelope distrotion. This is a rearrangement of the relative amplitudes of the signal components, Normally, tills distortion is not too severe as most signals will stay mainly within the most linear portion of the AGG response. 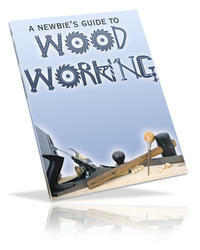 The more important problem with AGG is that, even without modification, it cannot be used effectively. If pulling occurs even with AGG, the AGG is not limiting the signal sufficiently and the only recourse is to reduce the RF gain. When this is done, the AGC begins to lose control and its advant ages are gone. It is worth noting that for the GC-1A, Heath recommends that it be turned off for SSB reception. The product detector offers a solution to most of thses problems. It allows far better isolation for the BFO, reducing pulling to a bare minimum. Being a linear device, it does not experience the extreme inter-modulation distortion possible with a diode detetcor. Finally, since pulling is not a problem, it allows operation of the receiver at maximum rf gain and use of the AGC. Thus, neither the convenience of AGC nor the receivers sensitivity are sacrificed to the 'new wave". The product detector is more properly known as a multiplicative mixer, the same circuit as is used for a converter in the front end of most modern receivers. This fact will explain the product detector circuits frequently seen which employ a pen tag rid converter tube. Another apt name is "audio converter". 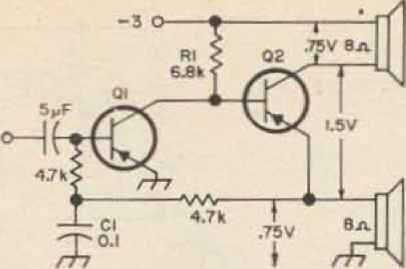 To see why and how a product detector works, refer to the circuit of Fig, I- First, note that the coupling capacitors used have a very high reactance for transistor work, even at 455 kHz, The reactance of the 15-pF capacitor is about 20 kohm and that of the 33 pF is about half that. 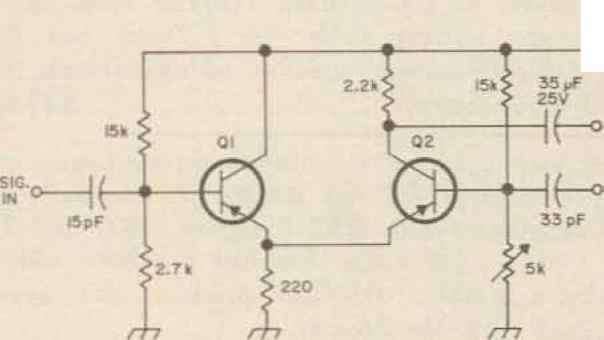 These high impedances are in series with the low input impedances of the transistors, providing a large voltage division. This insures small signal operation of the transistors guaranteeing their linearity. In operation, Q1 is an emitter follower, whose vacuum tube corollary is the cathode follower. The same conditions hold true for both. They are capable of power gain, but not voltage gain. Since the emitter resistor is common to the emitter of both transistors, the signal is directly coupled to what is to it, a common-base amplifier* In this amplifier, voltage gain is dependent to a certain extent on the quiescent or operating point of the transistor. This operating point is a function of biasing and the bias may be controlled at the base. How a pentagrid converter works? What is a radio product detector?